A dancer, actor, orator, singer, organizer and leader, Bharatnatyam dancer Sudhir Rao is a multi-faceted personality. He started at the tender age of 8 as Haridasa. With guidance from his father Salmara Krishnamurthy Rao and elder sister Laxmi Gururaj, he reached the optimum level of becoming Vidwan. He has toured Germany, Russia, England, Sweden and other foreign countries in Dr. Kota Shivram Karanth's troupe. He later took Bharatnatyam as his profession and found Nrityaniketan with his sister. He has successfully organized various dance festivals. Sarod maestro Ut. Amjad Ali Khan shoulders the sixth generation inheritance of the illustrious Bangash lineage rooted in the Senia Bangash School of music. In his miraculous ascend, he gave sarod a new and yet timeless interpretation. His talent has been the glory of the festivals world over, the WOMAD Festival in Adelaide and New Plymouth, Edinburgh Music Festival, World Beat Festival in Brisbane, Summer Arts Festival in Seattle, BBC Proms to name a few. Performer, teacher, choreographer, artistic director, thinker, administrator.Katahk danseuse Shama Bhate is a confluence of all this and much more. A disciple of Guru Smt. Rohini Bhate, Shama also trained under Kathak Samrat Pt. Birju Maharaj and Pt. Mohan Rao Kallianpurkar. She has created her own idiom of Kathak dance, blending it with special inputs in 'Taal' and 'Laya' from Pt. Suresh Talwalkar. Her original and innovative perspective on Kathak has led her to establish Nad-Roop' - a School Of Kathak Dance and Music. Yojana Shivanand is a performer in Hindustani Classical Vocal & Light Classical Vocal Music. She is a Graded Music Artiste from All India Radio Mumbai since last 25 years and has participated in several concerts & Musical Dramas. Yojana is presently working as Senior manager content for Hindustani Classical & Marathi Music. She has worked with legends like Bharat Ratna Lata Mangeshkar, BharatRatna Bhimsen Joshi, Padma Vibhushan Pt. Shiv Kumar Sharma, Pt. Hridaynath Mangeshkar, Pt. Jasrajji & many more. Blessed with being born in a home where music was breathe, Shrinivas Joshi took to music naturally. 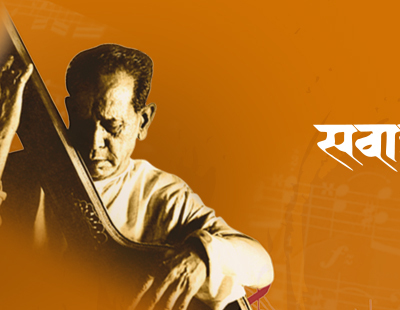 Son of Hindustani classical music maestro Pandit Bhimsen Joshi. Shrinivas drew inspiration from his parents. After completing B.Tech from IIT, Delhi his decision to make music a career was conscious one. Shrinivas started serious pursuit of music in a traditional Gurukul System under his father and mother late. Smt. Vatsalabai Joshi.